Deciduous shrubs that flower in late winter, spring and early summer need annual pruning to encourage strong, healthy shoots and improve flowering. Annual pruning also prolongs the life of these early-flowering shrubs. Such plants fall into RHS Pruning groups 2, 3 and 5. This advice is suitable for deciduous shrubs (losing their leaves in winter) that flower in spring or early summer. Newly planted shrubs only need trimming and shaping. Overgrown shrubs may need drastic pruning to renovate them. Evergreen shrubs are pruned in a slightly different way. Early-flowering shrubs are pruned after flowering (in late winter to spring and early summer, depending on the shrub). They usually flower on the previous year’s growth. Pruning immediately after flowering allows the maximum time for development of young growth to provide the following year’s flowers before the end of summer. 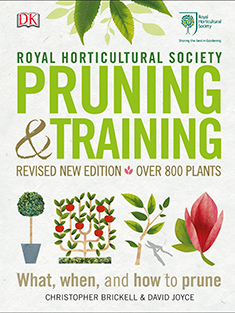 Pruning: Remove flowered shoots back to vigorous sideshoots. Cut back one in three stems to ground level each year. Look out for the following problems when you are pruning; bacterial canker, bleeding from pruning cuts, bracket fungi, coral spot and verticillium wilt. Non-flowering can also be a problem.